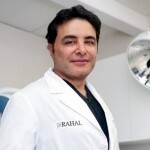 You are here: Home / Hair Loss Blog / Ask Dr. Rahal / How Much Does Hair Transplantation Cost? I need a hair transplant. How much does hair transplantation cost for 4000 grafts? Rahal patient before & after a state-of-the-art “Rahal Mega Session™” (which routinely transplants over 16,000 hairs! in a single session so you can have great hair again in record time). You stated that you “need” a hair transplant procedure, which is understandable. You most likely have an obvious amount of recession, thinning, or both and want a permanent hair loss solution. How did you come up with the estimate of 4000 grafts? Is this through self diagnosis after reviewing online galleries and reading discussion forums? Or did you receive an estimate from another clinic and want to know what we charge for the same number of grafts? If self diagnosed, then there is a strong possibility that your self assessment is incorrect due to vastly different hair characteristics. Many times one will look at results online and not take into account the hair texture (fine vs. coarse). Is the hair wavy or straight? Even hair color can and will influence the number of follicular units necessary to achieve a cosmetically acceptable result. If you received an estimate from another clinic, then this too can be incorrect, as many times two seemingly reputable clinics can give estimates that are very different from each other. One clinic may specialize in coverage while the other clinic may specialize in density. Sometimes patients will overestimate their own needs because they feel that if they transplant a lot of hair into their existing hair, even if it is not visibly thinning, that this will somehow prevent future loss from being noticeable because so much new hair has been put in place “proactively”. On the surface this seems like a viable approach, however, when one considers this further they realize that this is a counter productive philosophy. A friend of mine refers to this as the “glass of water” analogy. If you take a full glass of water and leave it outside for a while you will notice that the amount of water will be less due to evaporation. The evaporation represents hair loss. You can’t fill the glass with extra water to stave off the issue of evaporation because there is no more room for more water. You can’t add more hair to an area that is not experiencing loss because there is no room. I know of cases where a doctor tried to to do this but it only lead to permanent shock loss that actually made the patient’s scalp look thinner than before the procedure. I encourage you to schedule your 100% FREE private consultation today. 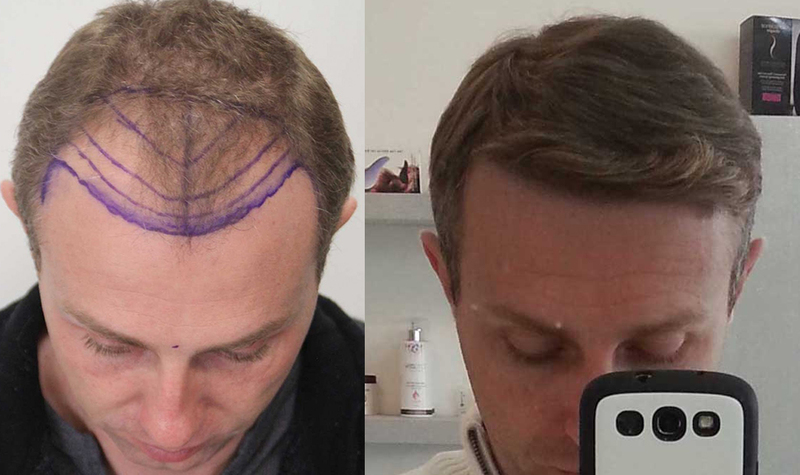 During your consultation, I’ll thoroughly examine your hair and scalp and design your comprehensive, personalized “Hair Loss Treatment Plan™” that reveals the exact number of follicular units you need to achieve the thicker, fuller head of hair you desire. You’ll also receive a complete breakdown of cost per graft and discover easy financing options.